Germania is the home world of Dieter, son of Brand. It bears a startling resemblance to Germany of the 1930s on Ancient Earth, and following the discovery of the so-called Fatherland continuum, it is now assumed that Germania was a pre-cursor to the creation of the Brandamber in that continuum. In recent times, he has primarily been encountered in Germania, on Tenterden and at his home in Southern Amber, although he made a rare appearance in Amber itself for the Kingship Vote, when he indicated his support for Bleys. His major playground is the world of Germania, where he has done a good job of establishing his own personal Thousand-Year Reich (which at a dateline of 1980, is currently at 55+ years and counting). On that world, he set himself up as the saviour of Germany, after getting rid of Hitler in the siege of Berlin, then took command and made sure that the final collapse of Nazi Germany did not happen. Russia came out rather worse from the confrontation, and Germany is by far the strongest power in Europe. 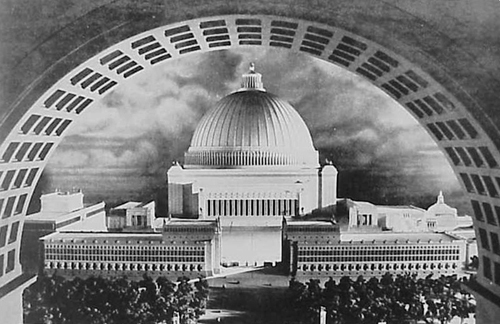 Germania’s Berlin has been rebuilt along the lines of Albert Speer’s dream capital (cf: Robert Harris’s Fatherland). For a long time, he was the only Pattern-capable Family member on Tenterden, but for some reason he never claimed the Shadow. This became a source of irritation when it was instead officially adopted by Ian Hawke, in 1981 local calendar. There has certainly been a thaw in relations between Dieter and Ian Hawke, in no small part because the latter is now his son-in-law. He also maintains good relations with his brothers Geran and Dalt, and has stated his support for the reign of Bleys of Amber. Relations with his brother Matthew are rather more complicated, as the two have pretty much unresolvable differences on the subject of totalitaian versus libertarian. Diplomatic relations were also recently opened with a new power which calls itself Sanguine. The Sanguine ambassador, one Josh Conrad, has recently arrived in Berlin, and is helping Führer Dieter in selecting his counterpart.